"In June of that same year , while on a senior trip, I first stepped into old Mr. Clausen's bookshop in Colorado Springs, a shop I was to revisit often for the next twenty-five years. On this first visit I bought a ratty, but to me resplendent, issue of Byron." For more than 60 years, the Clausen name has been synonymous with old, rare and out-of-print books in Colorado Springs, the Pikes Peak Region, and in the greater United States. 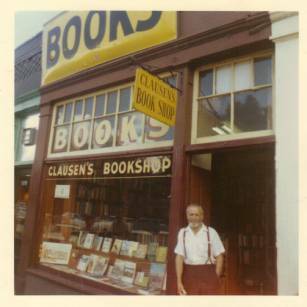 Born in Brooklyn, New York on April 4, 1902, Henry Aage Christian Kirchheiner Clausen was a great book lover and widely respected Colorado Springs book dealer. Henry learned the book business as an employee of the London Bookstore and later Earnest Dawson's Bookshop in Los Angeles. Following World War II, the Clausen family moved to Colorado Springs, where Henry opened Clausen's Bookshop on the second floor of the old Giddings Building (more recently the Fashion Bar Men's Shop) on July 1, 1946. Over the years he developed a reputation for honesty, integrity and extraordinary literary and rare book knowledge. As a bookman from the "old school," he felt responsible not only for the mere act of selling a book, but for making sure his books were placed in the right hands. He was apprehensive of customers who wanted merely "pretty" volumes that looked good on bookshelves in corporate offices. Those people would quickly find themselves directed to the nearest Goodwill Store, known for its vast quantities of Readers Digest titles. Henry had a reputation for being somewhat stubborn and "crusty" with people, but true bibliophiles understood his shortness with customers who never read anything more in-depth than the ingredients on a soup can. He always gave a fair price for books bought, and never minced words about the value or lack thereof, of a customer's treasured family heirloom. 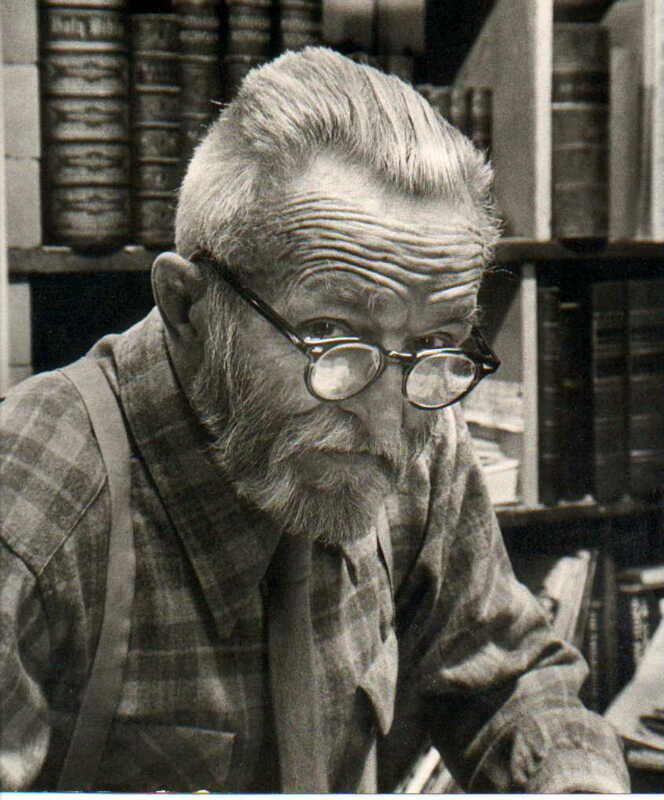 His unparalleled knowledge of used and rare books, ephemera and incunabula was further evidenced by his long-time association with the Manuscript Society, as a charter member of the Pikes Peak Posse of the Westerners, the Wyoming Historical Society, and Pikes Peak Historical Society. He was a Posse Member and contributing author to The Denver Westerners, the Colorado Historical Society, Pikes Peak Historical Society, Ghost Town Club of Colorado Springs, and the Colorado Springs chapter of the Circus Fans of America (Bird Millman Tent #86). At various times throughout his colorful life, Henry was a professional wrestler, artist's model, gandy dancer, court reporter for the Southern Pacific Railroad, tuna fisherman, reporter for a Danish-American newspaper in New York, traveling art critic, hobo, life guard, director of various Southern California WPA-sponsored art projects during the Depression years, and a silent-film movie extra. Some of the movies he appeared in include, "Thief of Bagdad" with Douglas Fairbanks Sr., "Sea Hawk" with Milton Sills and "Merry Widow" with John Gilbert and Mae Murray. He was also a collector of fine art and authored an art column for the Colorado Springs Free Press in the 1950's. 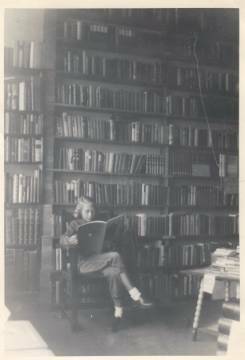 Last, but not least, Henry was an ardent bibliophile. He and my mother Betty also managed to raise seven children. Rare and used books notwithstanding, my father was justifiably proud of his work as an artist's model, a career he began in the early 1920's at the Art Students League in New York City. 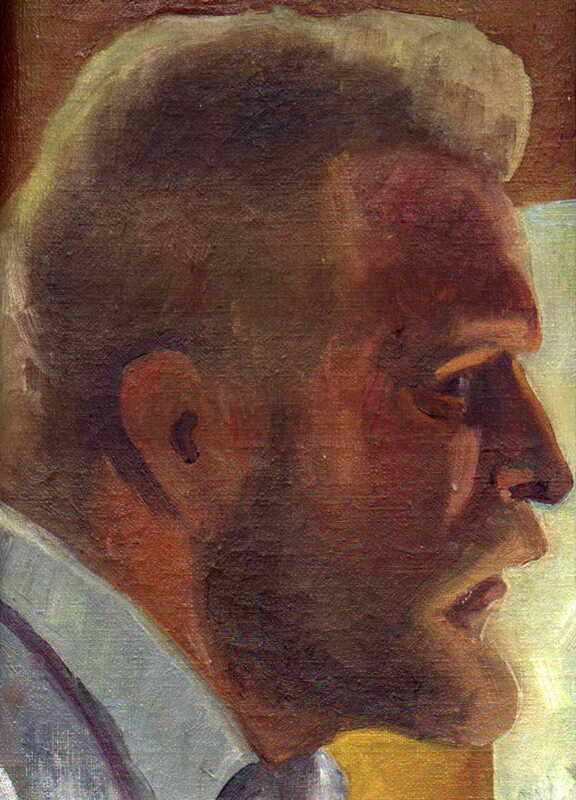 He modeled for and was a favorite of such artists as Thomas Hart Benton, S. MacDonald Wright, Boardman Robinson, Jackson Pollock, Reid Crowell, Olin Travis, Donal Hord, Don Totten, and others. His familiar head and shoulders may still be found gracing the walls of museums, post offices, universities, libraries and private collections from California to New York. He also did some modeling at the Colorado Springs Fine Art Center for the first time in 1926, while passing through the Springs with a traveling carnival. From Marianne Berardi’s book, Under The Influence: The Students of Thomas Hart Benton, comes the following quote: “Ivy Starr, who studied with Benton in 1933, recalls that one of the chief attractions of his classes was that he always had “the best model at the League” – probably Henry Clausen, who later followed Benton to Kansas City” (from an unpublished memoir of James Britton Gantt). Between modeling jobs, Henry wrestled Douglas Fairbanks Sr., Harry Houdini, and a host of other characters. 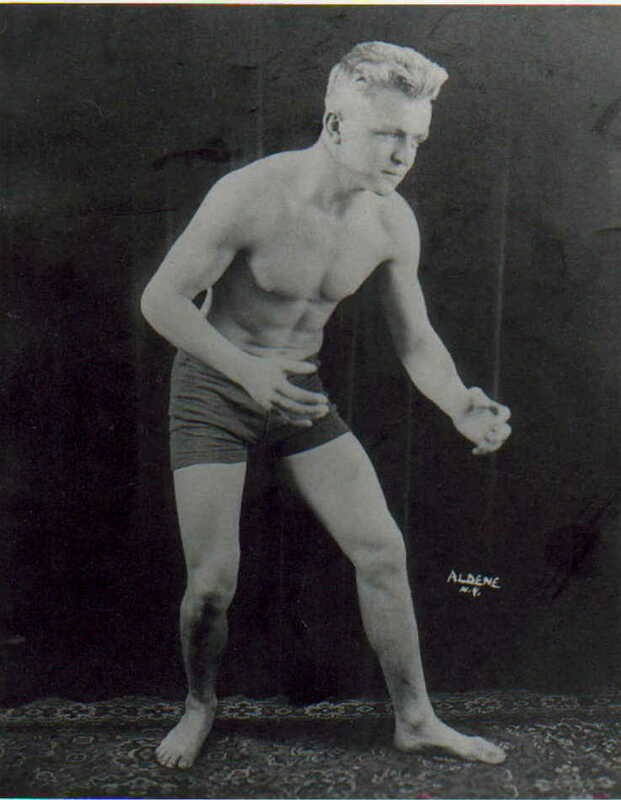 At one time billed as the House of David Champion, he managed to survive over 2,800 professional wrestling matches on the carnival circuit. He had the familiar "cauliflower" ears of a rassler, but his hands were gentle enough to carefully examine and repair the Last Will and Testament of the great Western scout, Kit Carson. You may read more about his wrestling career in an article he wrote for the 1977 Denver Westerners Brandbook, entitled Wrestling In Colorado and the Other 49 States. "Old Books, Like Old Friends, Wear Well." Sketch of Henry Clausen, published by the Colorado Springs Gazette Telegraph following his death in 1984. He is buried along side his wife Elizabeth in Carpinteria, California.